Bilal Tanweer reveals the pain, loneliness, and longing of these characters and celebrates the power of the written word to heal lives and communities plagued by violence. 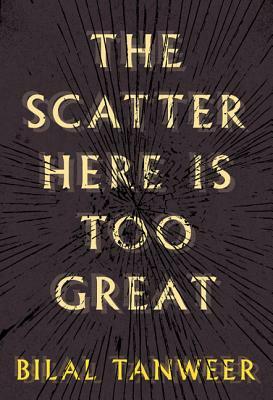 Elegantly weaving together different voices into a striking portrait of a city and its people, The Scatter Here Is Too Great is a tale as vibrant and varied in its characters, passions, and idiosyncrasies as the city itself. Bilal Tanweer was born and raised in Karachi, Pakistan. His fiction, poetry, and translations have appeared in various international journals, including Granta, Vallum, The Caravan, and Words Without Borders. He was selected as a Granta New Voice in 2011 and was named an Honorary Fellow of the International Writing Program at the University of Iowa. He lives in Lahore, Pakistan.